The Mirella Advanced Pointe Shoe is a streamlined and light pointe shoe with a short open U-shaped vamp and low cut sides that reveal the instep. 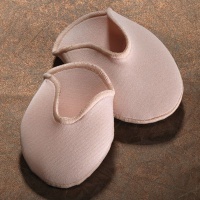 It has a gently curved suede outsole which means the shoe hugs the foot for greater articulation and support en pointe. A strong composite insole supports the dancer in the shoe, while still allowing demi pointe. 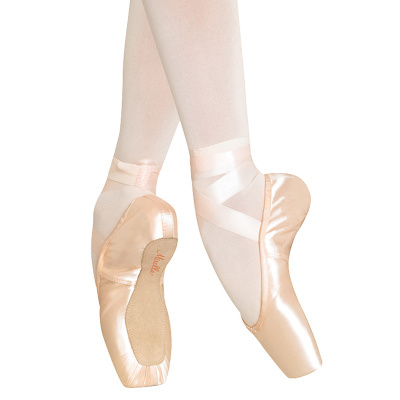 The Mirella Advanced’s large platform provides greater control en pointe for ease of balancing and turning. The outsole and flat pleats also combine to provide a smooth surface giving the dancer greater stability whether running or walking or standing.